Looks like good year for fans of great Pixar movie Cars.Im interested in this set 8484 CARS Ultimate Build Lightning McQueen, this can be similar to Batman UCS or set like 8157 . I was never a fan of Cars, but these sets sound quite interesting. How interesting. Does anyone know if they are duplo or not? I really hope they are not this time. Does anyone know if they are duplo or not? Set numbers don't point in the direction of Duplo. Plus Duplo has a line up with some similar sets for this year already, so I guess they'll be like 'Racers'. Well, this is a surprise! Too soon to tell if it's a good one. If this is in fact a duplo line (Which wouldn't surprise me) we can anticipate a grand total of 10 pieces. Though, now that I think about it... With all those smooth curves, I'm betting a "UCS" piece count wont be much higher.. I'm guessing this set is from the new film, it sounds interesting. I guess we should expect pictures soon then if the release date is the 5th of January. 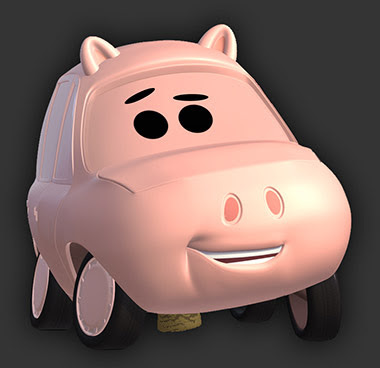 The second cars film comes out on June 24th next year. 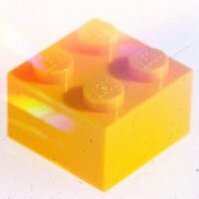 Cars 2 (movie) is due next year - probably explains the volume of sets and that it moves from Duplo into racers territory. 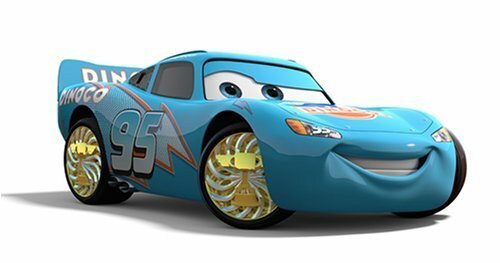 Theme of the Movie is World Grand Prix - Five races around the world with Lightning racing against a number of other cars, one of which is an English Spy called Finn McMissile. Mater is now the Crew Chief. Release date is actually the 1st of May, this will be a summer theme (like POTC). I won't be getting any of these (my wallet is burning up from the other themes ) but I bet I'll get to build some. My little brother LOVES Mater. Ha ha, I hope not! Talk about a nightmare. Well that's a relief, I feel sorry for the set's designer. Wonder how they'll pull off the expressions, stickers? I hope not. "Finn McMissile" Didn't know this would be a dirty film. I wonder if it'll coincide with the movie. but I bet I'll get to build some. My little brother LOVES Mater. Post a review if you get a chance. Oh, I forget about duplo . Titles of set are in czech language, so i try to translate. I guess this means that the other sets are Lego! Sweet, finally some info on these sets! They do sound interesting, but since I'm not as much into Cars as I am into TS, I probably wont collect this theme, but I'll surely get a few of them. And as LegoGalactus said, some of these set names confirm what we have heard about the plot of the movie, so they probably aren't fake. 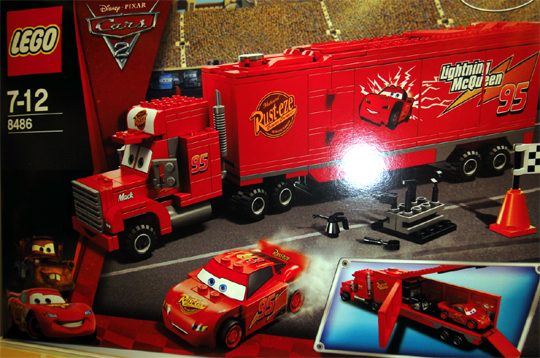 Ultimate Build Lightning McQueen does indeed sound like it will be a UCS version of the character, but it could also be a small version with exchangeable exteriors, like 8184, such as Dinoco Lightning McQueen or some other new look from Cars 2. It's much more likely that it's a UCS though. It will be made out of lots ofs 1x1 through 1x4 tiles in black and white. That's a bit o' good news. Woah, hey look at that"Twin X-treme RC"! That's one awesome looking set, how'd I miss it? I do love that green top. Though I hope, yet at the same time highly doubt that McQueen's model would be as nice as..... Twin X-treme RC. I'd like to see that, can never get enough of those pieces. Sadly I doubt this too, I get the sinking feeling it's gonna have heavy stickerage, I agree with Oky Wan in that it'll probably be a smaller set (Due to demographics.) and at a smaller scale it would be near impossible to "brick out" his creepy expresion. In fact, I wouldn't doubt him having multiple expression stickers on a couple interchangeable "face bricks", if that makes in sense in those terms. I wouldn't doubt him having multiple expression stickers on a couple interchangeable "face bricks", if that makes in sense in those terms. True, that's another possibility. After all, Build-A-Bob had the same feature. As for Twin X-treme RC, I think it had a limited availability. I personally have never seen it in stores. But this is not the place to discuss this, so you might wanna ask the Racers fans about that. 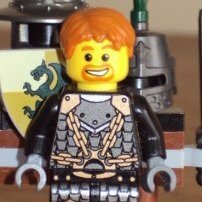 Back in August I was told by a Lego rep. I saw in a Target store said that Cars would have System and Duplo releases for 2011. Ouch, my wallet might just be hurting next year, but first I'll need to see what the sets look like. This theme might do better than TS3 did. Wunderbar, it'll be interesting to see how these sets look in system! I did enjoy the Toy Story 3 line, if Lego Cars is as cool as Lego TS3 count me in. Only if they release it as both a Toy Story 3 and Cars set at the same time, the Lego cross-over genre is very elusive you know. I'm looking forward to all this, even if my wallet isn't! I've said before that I thought they could do a large, detailed model of Lightning McQueen along the lines of a UCS set or a big Technic set; it looks like TLG agrees. They're all LEGO, including the DUPLO. I think you mean the other sets are non-DUPLO.